Fridays at the library are “Small Fry Fridays”. Tiny humans and their grown ups line up at the doors awaiting a morning filled with stories, maker crafts, snack and free play. 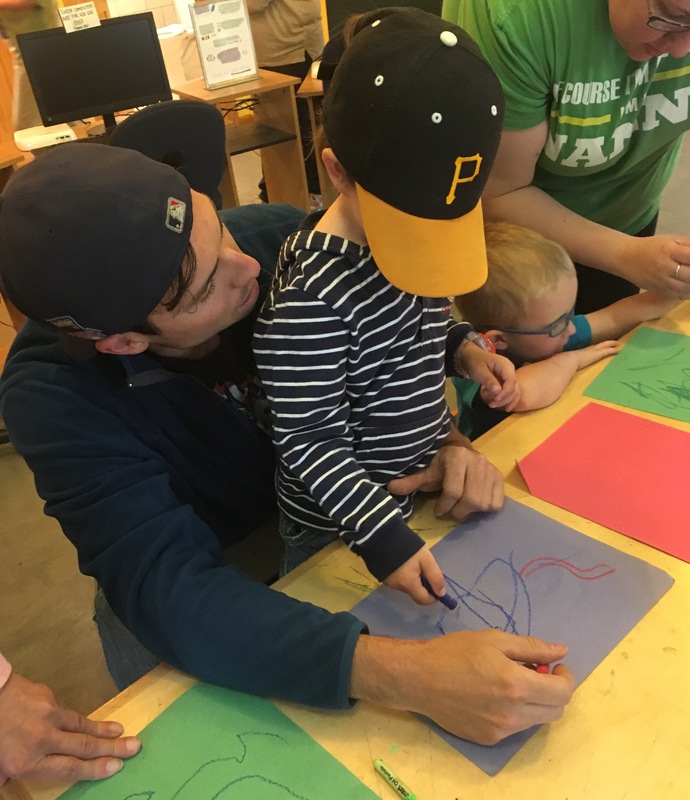 It’s one of our more successful programs, as it combines several initiatives into one day full of activities for PreK kids and their families. 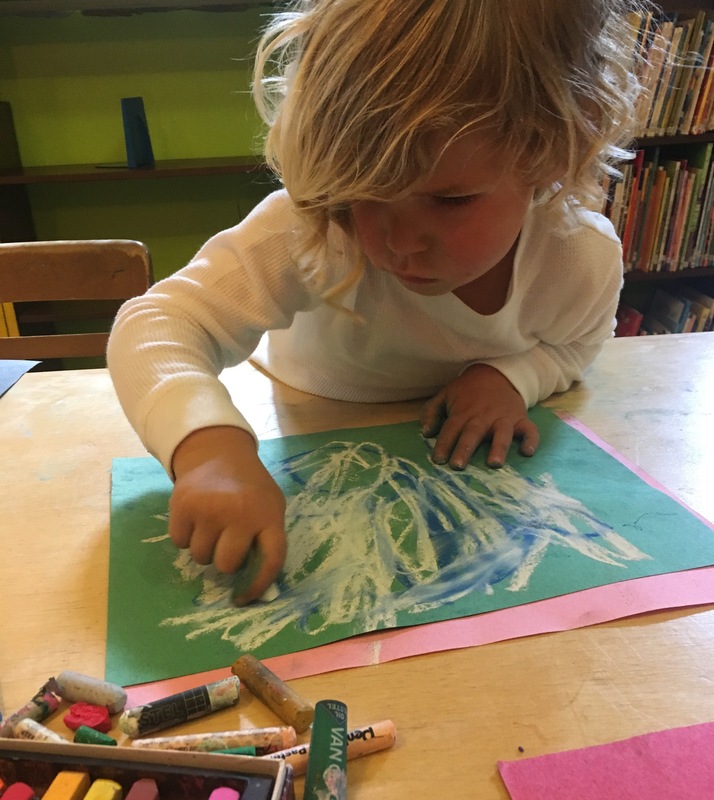 With the Picture Book Maker Craft Project well underway, I am trying to make more visible connections between the book read during story time, and the hands-on activity done during Mini Makers. 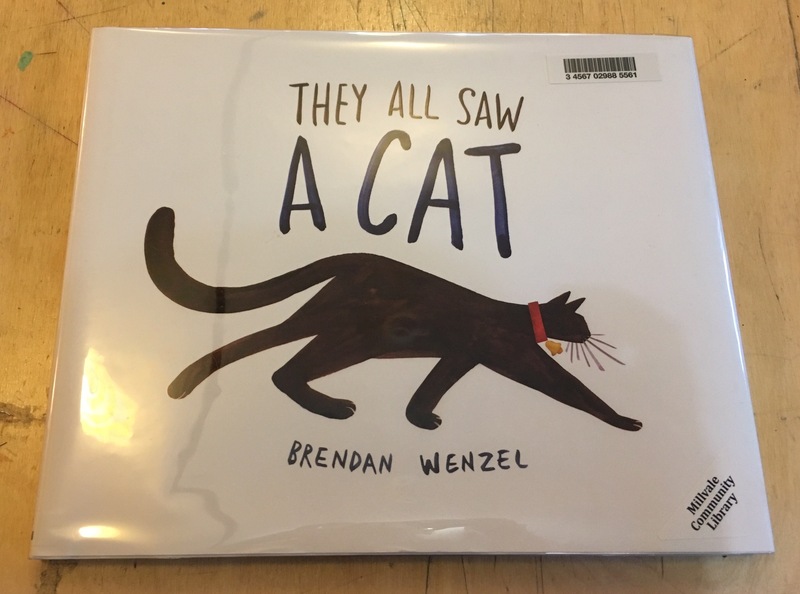 This week, the kids read the book “They All Saw A Cat” by Brendan Wenzel. For those of you who aren’t as familiar with picture books, this book is ah-mazing. It explores how different animals all see the same thing, a cat, in very different ways. A child, a mouse, a dog, a bumblebee, a goldfish… all seeing a cat from different perspectives. I have plans to work with slightly older kids (k-2nd grade-ish), reading the story and exploring looking at something through different “lenses”, but with my mini maker crew, I changed the project a bit to fit my audience. It seemed like a simple project, but I find that something really valuable happens when the hands-on exploration connects to the early literacy experience of listening to a book. What is the Picture Book Maker Craft Project?